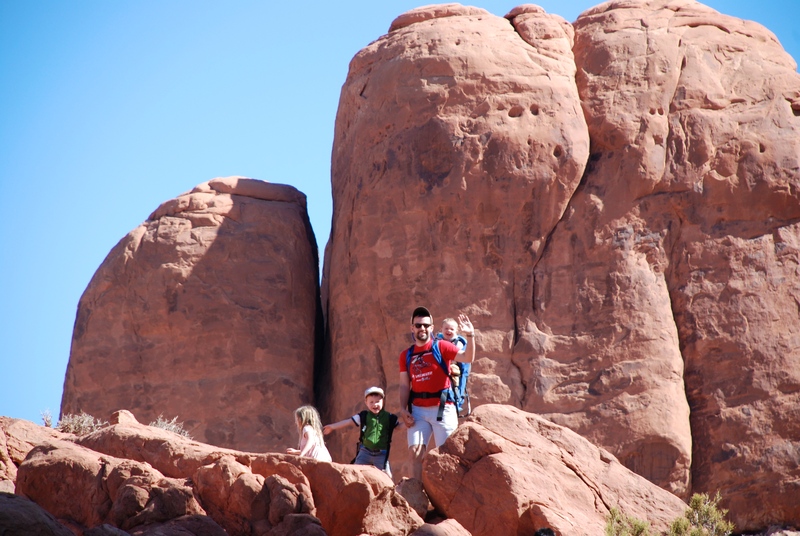 Along with my ode to Edward Abbey’s Desert Solitaire, I wanted to take on a more family/kid centric subject this Friday– camping with your progeny. 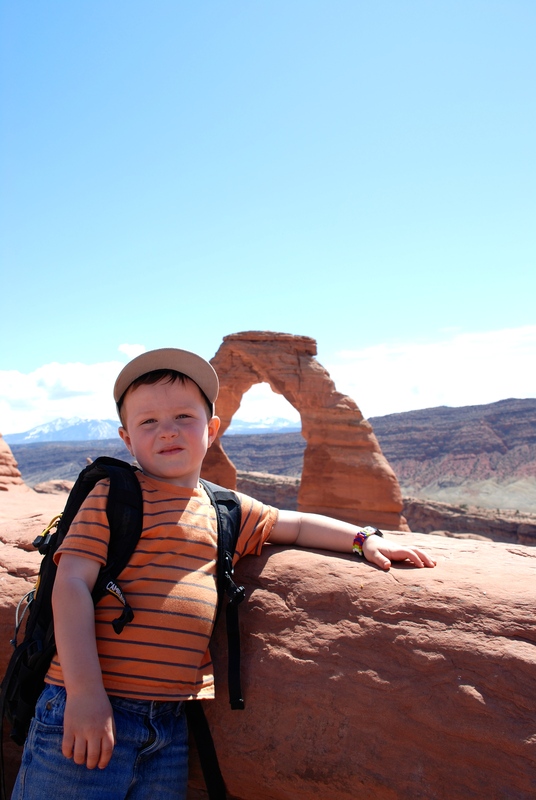 I also have a Mom’s Guide to Moab that you don’t want to miss! I want you to know that this was maybe two minutes after setting up camp, and quite possibly the LAST time these two little adventure lovers sat down for the rest of the trip. Well, maybe for a quick bite to eat. We have some high energy gentlemen! The other thing I want to point out is HOW DIRTY MILES IS ALREADY. Covered. Head to toe. The little dust-devil is ALREADY covered in dirt. I have more evidence of this to come, but I just want you to be prepared to get a little dirty. 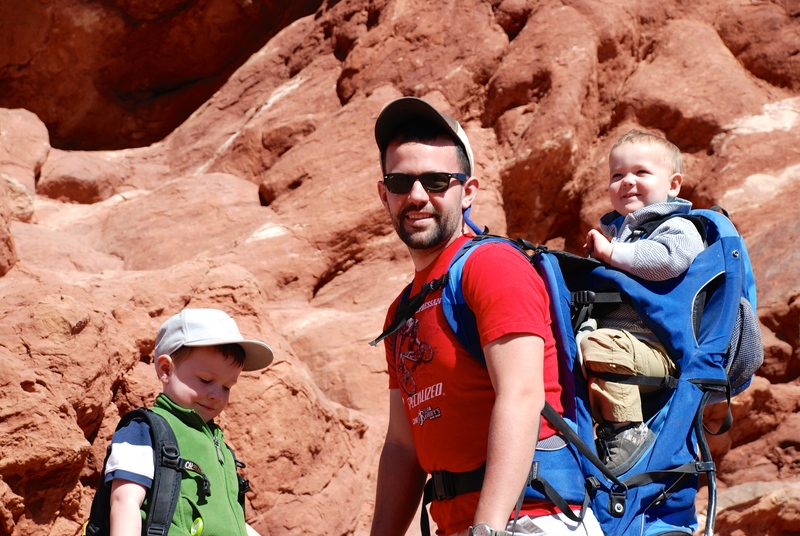 This particular camping trip was over two years ago, and I chose pictures from this trip because Miles was still in diapers and still in a backpack. 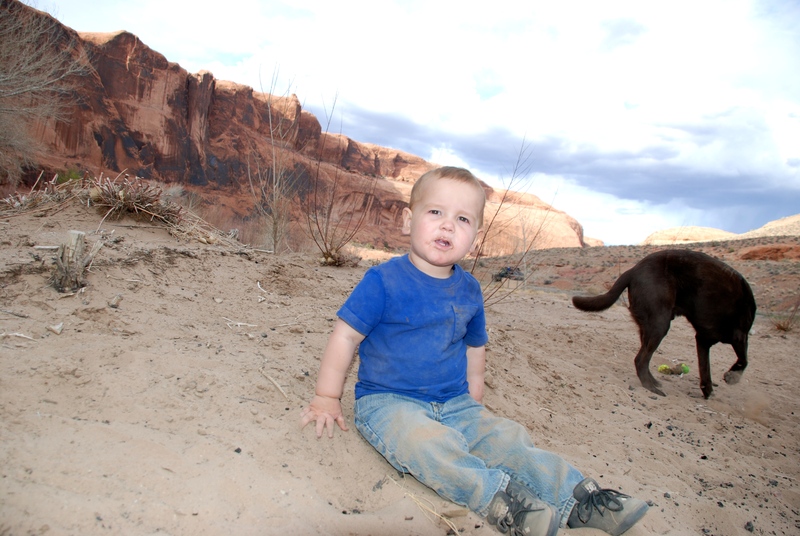 Not only did this make him more easy to contain (at least while hiking), I think it amps up the adorable factor. The other reason is to highlight the fact that not only can you camp with kids, you can camp with small kids. 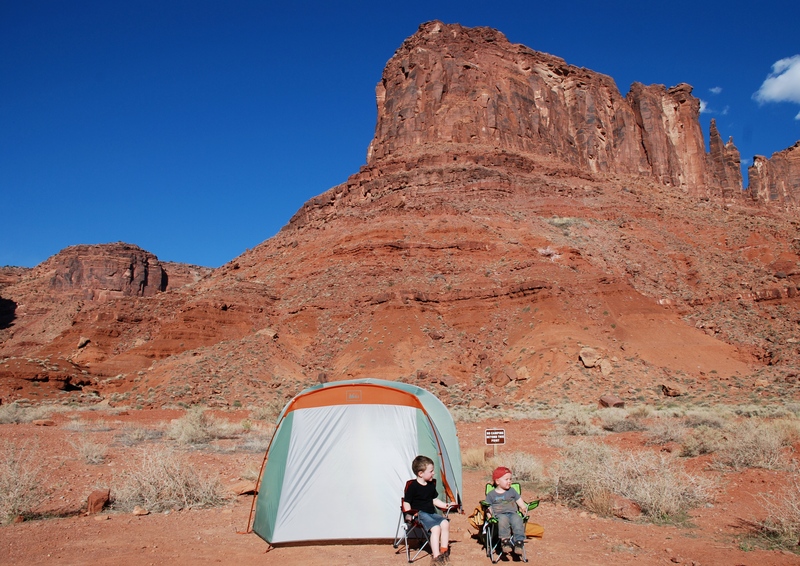 To me camping, or getting your kids to camp and encouraging them to enjoy camping, is much like teaching a child to ride a bike, or introducing them to the gym day care, or accustoming them to a jogging stroller. 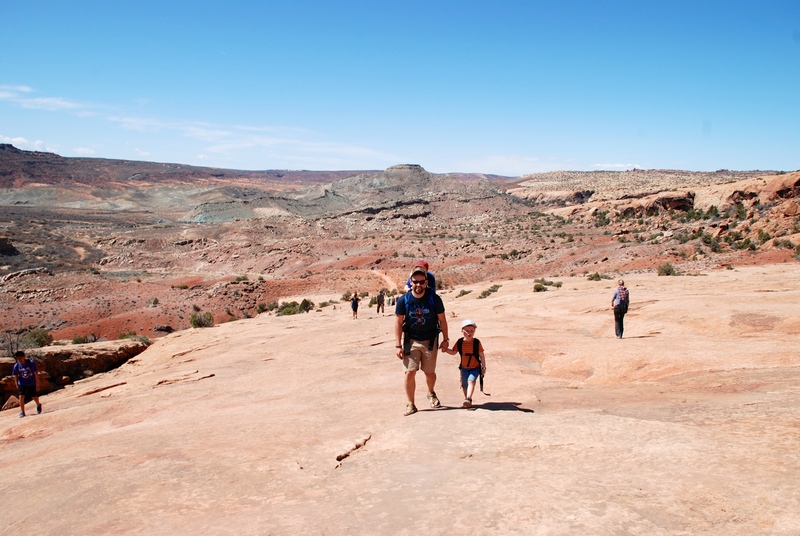 In other words, if you want to get out there and camp with your children the best way to do so is just that– DO IT. Let me also say that this doing should be in your own way. If you think that tent people are dirty, flea-bitten, vagabonds then pull that tent trailer behind your SUV and get out there. If you think that RV’s are exclusively for people named Cousin Eddy, pop that tent in your roof-top box and head out to the nether-lands. The point is, as with most opportunities in life, there are many ways to skin a cat. Camp your way. It’s the right way. The list below mostly consists of steps you can take to plan ahead. I’m telling you, Prior Planning Prevents Poor Performance absolutely applies to this experience. At least, if you’ve planned a little in advance you won’t be caught in a tent with a teething screamer at 2 A.M. without Tylenol, or taken aback when your child doesn’t realize that just because it’s a blade of grass or a weed they can take the opportunity to give each and every piece of foliage some personal water. “Keep your pants, on son. We go potty in the restroom.” “But Mom, that weed was so thirsty!” So to begin this list before I begin, the most key advice I can offer is: EXPECT THE UNEXPECTED. 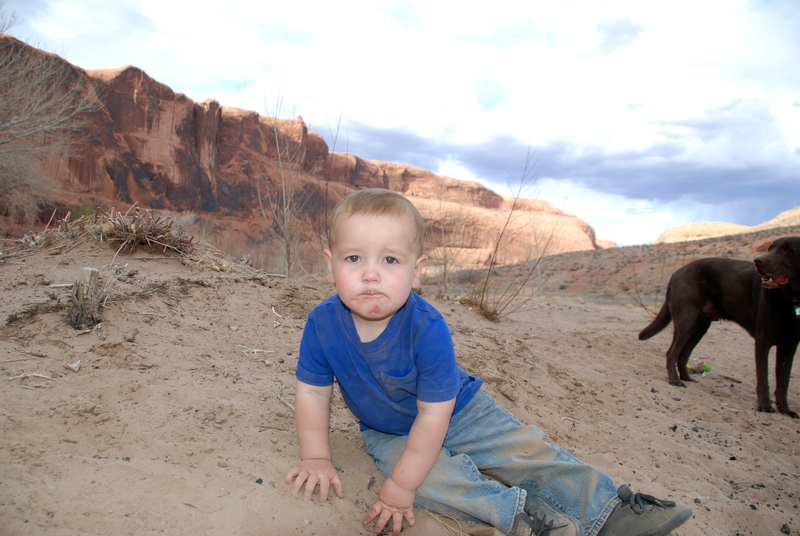 FIRST and foremost, realize that you are not the first parent(s) to set foot in the wilderness before! The most important advice I can give to you up front is that to camp with kids, prepare to be flexible. Prepare to have a slightly different schedule, prepare to be a little consternated. EXPECT THE UNEXPECTED. 1. Practice camping at home. Set the tent up in the living room. Sleep in the tent. 2. Camp at a campground near home in case the entire night goes awry. If your indoor camping experience didn’t go off without a hitch (read: at midnight you gave up and put the kids into their actual beds), then maybe on your next foray you opt to go to a camping site no more than 15 or 20 minutes from your home. Keep it close, keep it comfortable. 3. Give children a piece of gear of their own. This gives them ownership in their camping experience. 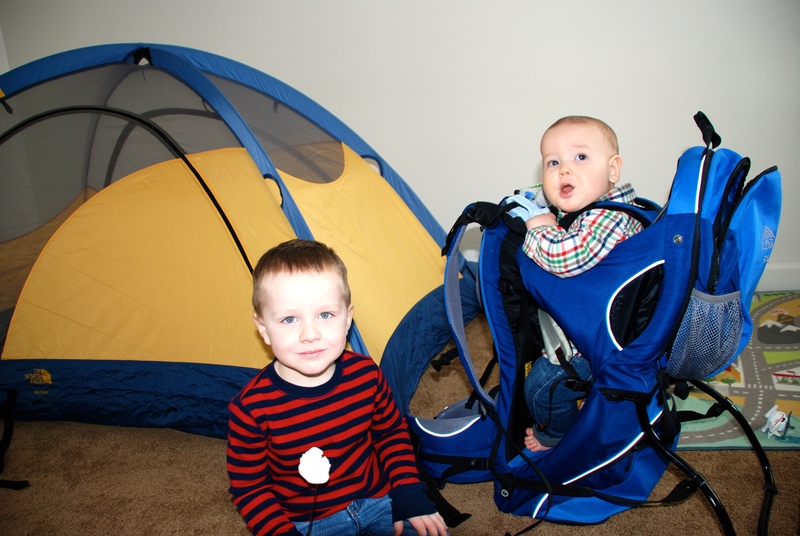 When we started camping with Parker (and I mean when Parker was old enough to understand that we were camping because he camped a few times with us as an infant), we gave him my husband’s old Camelback to use every trip. It was the perfect way to allow him some ownership in the experience. We could remind him to fill his pack with water before we left camp every morning, and it was the perfect place to stow all of the treasure he picked up along the way. 4. Pack kids clothes, pajamas, tooth brush in a separate bag. I made the mistake of packing us all in one giant bag one camping trip and it… well, it was a mistake. I just couldn’t quickly seem to get to any of the stuff I needed. Now I pack in a lot of separate bags: Bag for the boys, bag for myself, bag for Papa, Diaper bag that can double as a day pack, separate small backpacks for the boys. Bikes, dump trucks, dolls, dinosaur figurines, polly pockets. 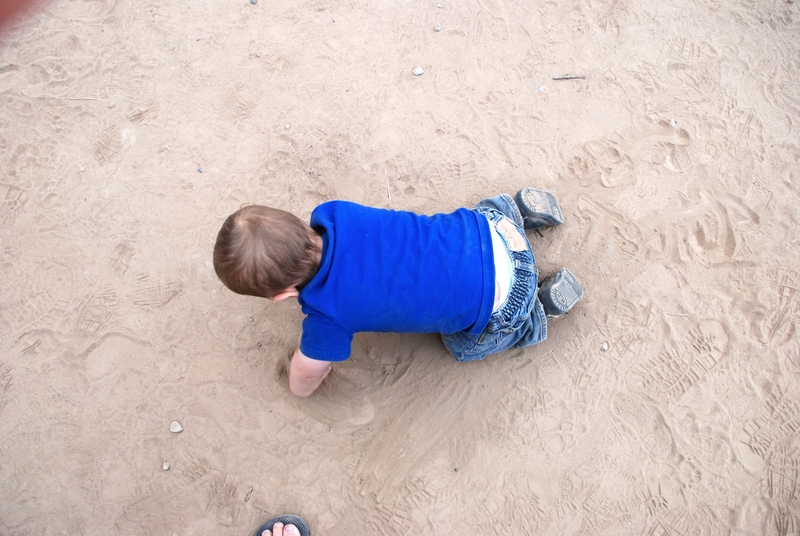 Whatever you child plays with at home can be played with in the great outdoors (and/or leave home what you don’t want dirty or are ready to have thrashed, rocks and sticks are for real). 6. Explore your site right as you arrive. 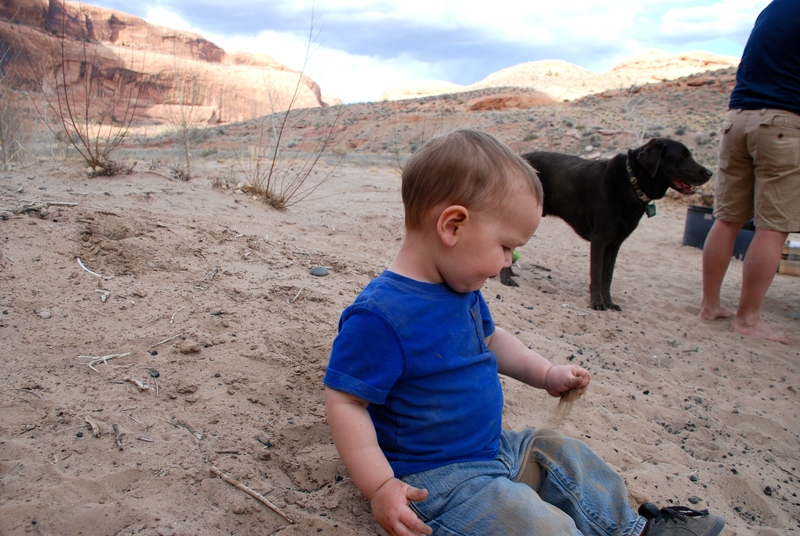 Plants, bugs, rocks, trees– there is so much to explore no matter your camping situation. 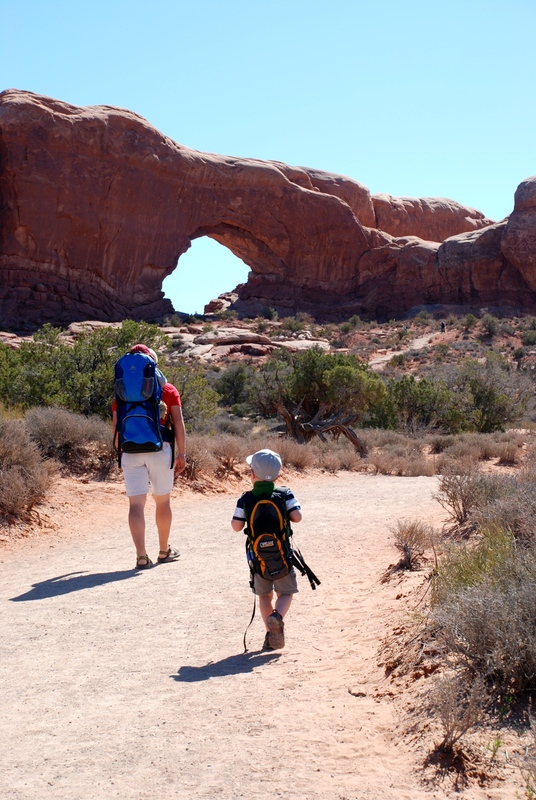 Allow your kiddos to accustom themselves to their surroundings as soon as you arrive. Do the same yourself looking for the closest amenities such as bathrooms, information station, and alerting yourself to any potential safety hazards. 7. Change clothes somewhere other than INSIDE. Have a place to change that is NOT the sleeping area. I realize that this may not be possible every time. Our tent has a garage or front entry where we usually keep all of our bags, shoes, dirty clothes. Maybe your trailer has an awning, or there is a bathroom close by that is easy to change in. Time after time I have been so glad that all of the dirt and dust and sticks and rocks are left outside the door before my kids come in to sleep. 8. Bring food that they eat at home. Chicken nuggets. We actually learned this the hard way. Miles basically lived on chicken nuggets from the age of 1 to 2 1/2. When he got up in the morning he asked for chicken nuggets. When lunch rolled around, the same. Dinner? You guessed it. So why I didn’t think about this when we packed up for camp, I don’t know. But we got out into BFE and I had hot dogs, and skillet pizzas, and cereal, and goldfish, and other kid approved meals, but NO CHICKEN NUGGETS. Lesson learned. 9. Know YOUR AREA in kid terms. Research activities in the area you plan on staying for kid appropriate activities. 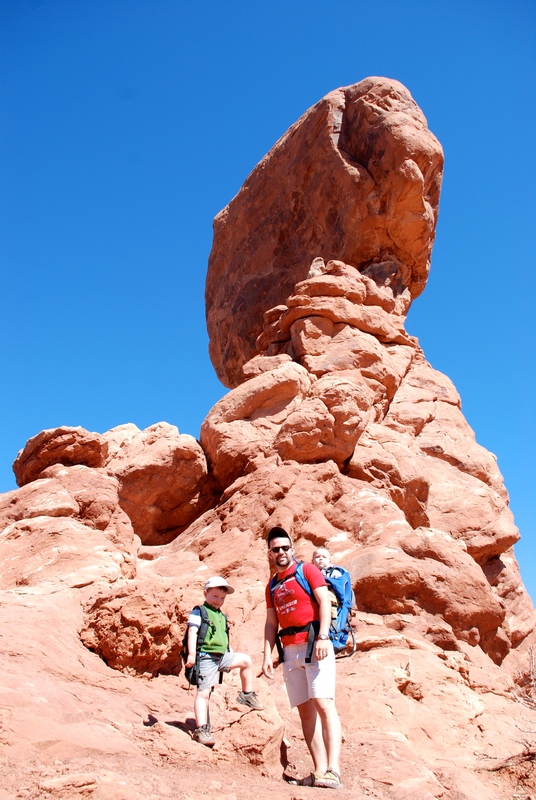 Hiking or walking trails that are suitable for children. Historical points of interest that may pique your child’s curiosity. 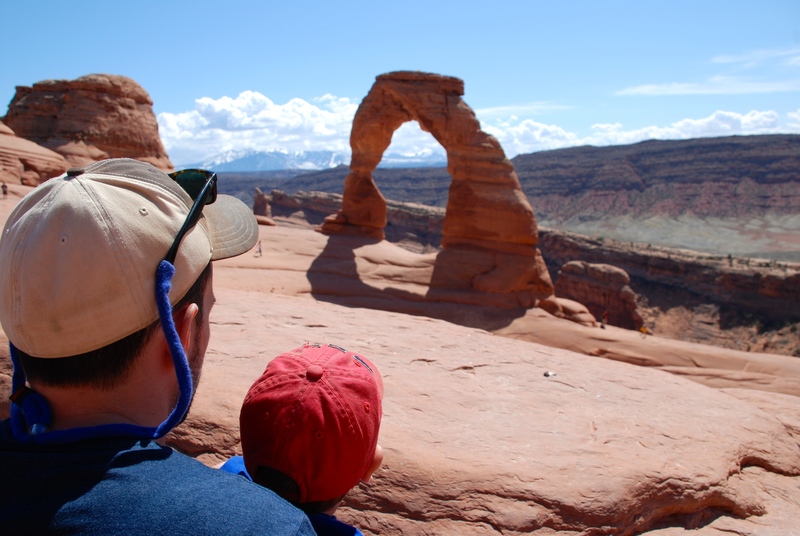 Many National Parks have “Junior Ranger” programs that kids can be part of. It usually entails a booklet with some sights to look for, and other activities as step to earn their “Ranger Badge”. 10. Prepare. Over prepare. Bring. Over Bring— diapers, wipes (+ extras + even if you don’t have a kid in diapers), klenex, sunscreen, bug spray, Tylenol, tooth brushes, floss, flashlights, toilet paper, hats, jackets, shorts, pants, pajamas, layers. Here’s the thing, in the every day you can saunter down to your local supermarket and pick up anything you need any time you need it. Camping, not so. I understand that this seems very common sense. 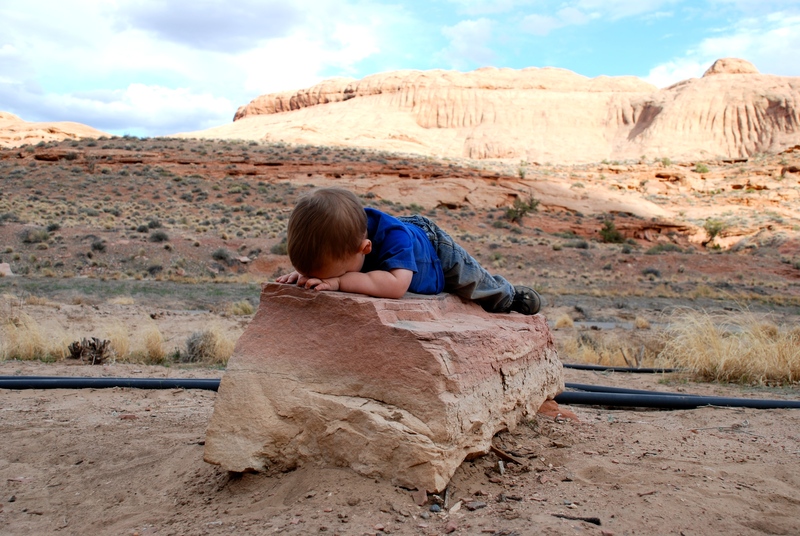 But when your baby trips on a tiny rock in a sea of monolithic sandstone rock formations and you don’t have a band-aid you are left hanging your head in shame. And most every thing you bring will be things that will be used up in your household anyway. Dirt. More dirt. Dirt in my eyes. Dirt in my nose. Dirt on the dog. Dirt in every fiber of my clothes. Just a little more dirt. Dirt everywhere. 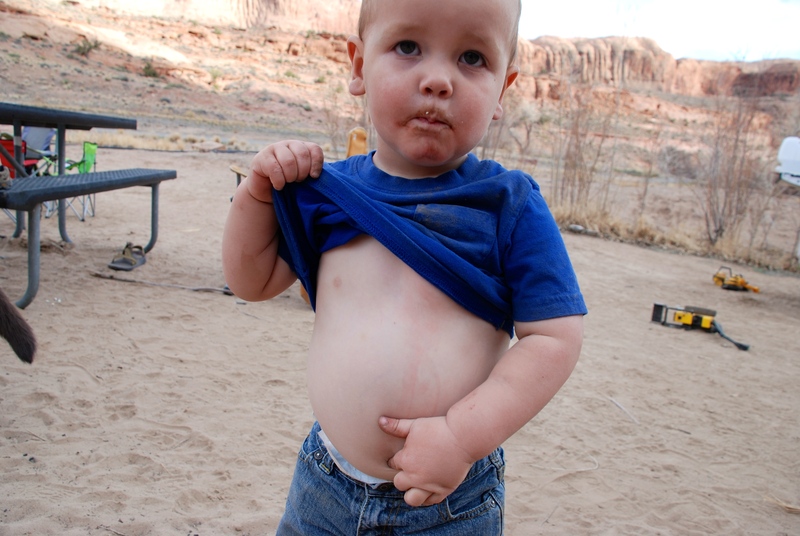 Dirt in my belly button. Oh my, there’s just SO. MUCH. DIRT. I would add step 11 Manage Your Expectations. Before kids I thought car camping was for old people and prided myself on high adventure type backpacking trips. I assumed that I’d be packing my infants along as my husband and I continued on in the same old way. When my oldest kiddo was 8 months old I found myself breastfeeding under a rock in a hail storm and decided it was time to scale WAY back. We now have a campsite that is 20 minutes from our front door. It isn’t the most fun for me, but I find I am not disappointed if I keep my goals small.